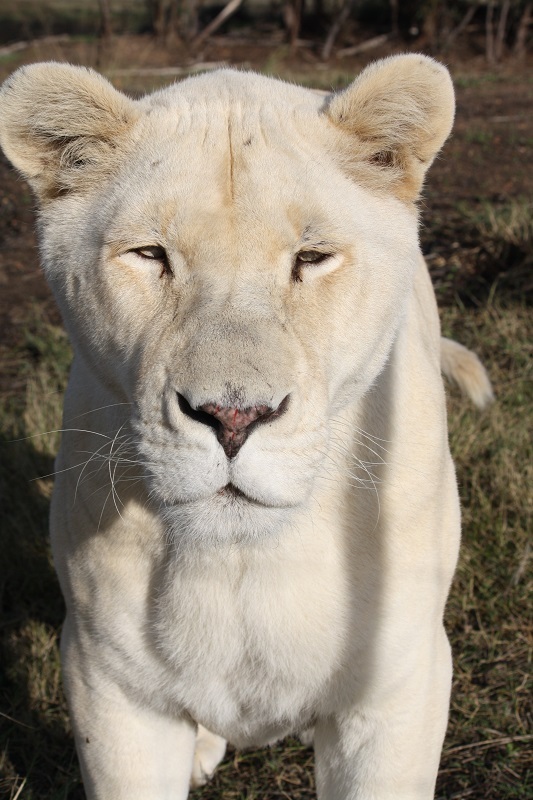 This White Lion female was born on the 24/10/2008 and arrived at the Sanctuary on 03/11/2008. Due to the highly sensitive nature of her relocation to us, as well as legal restrictions, we cannot disclose any details regarding her origin. Drakenstein Lion Park’s white lions will not be used for commercial breeding; they have found sanctuary with us.